Kelham Island, Sheffield’s newest hipster hotspot and home to some great restaurants and cafes is where I, James am lucky enough to be living for my final year of university. 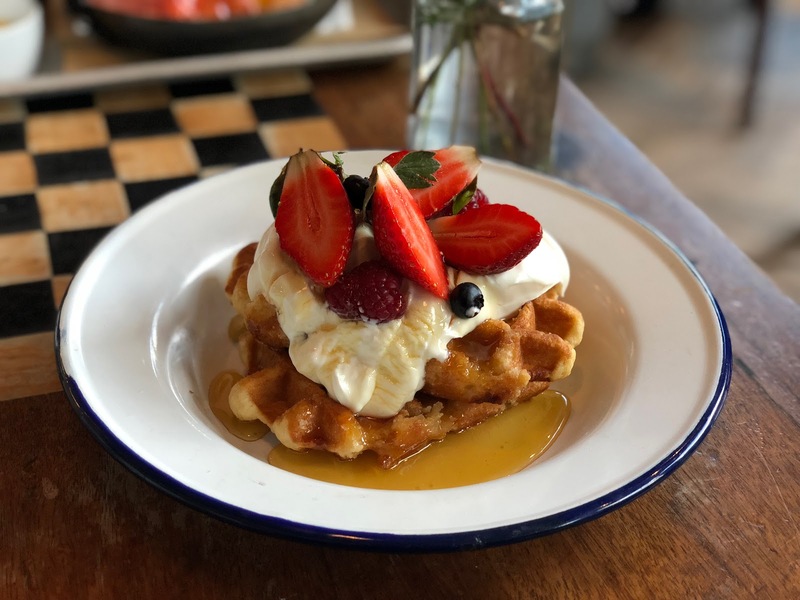 The Grind Cafe is just a minute or so walk away from home, so it would seem silly not come to down for coffee and spot of brunch one weekday morning. I say that, but actually we only came for coffee until we say these two delicious dishes pass us by and land on the table next to us. We wanted a slice of the action and ordered straight away. 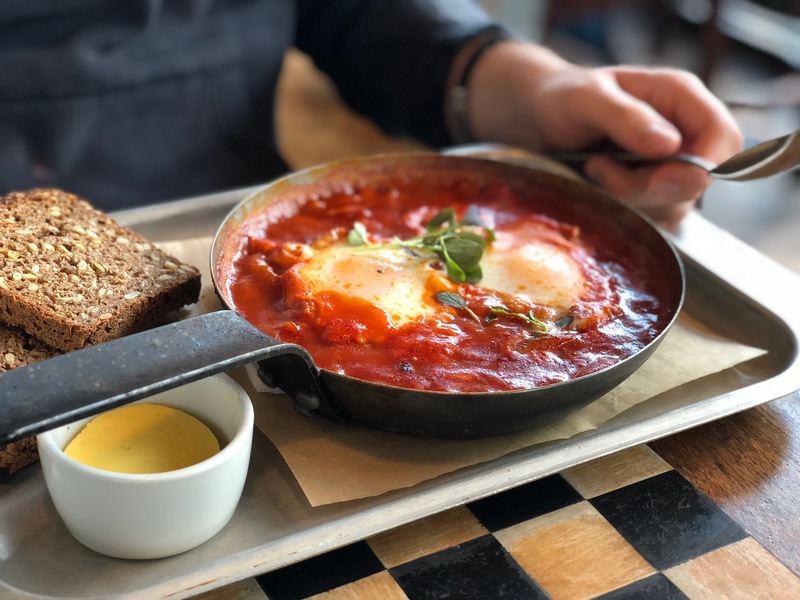 Baked eggs is slowly becoming one of our favourite brunch dishes, in this case with tomato, chorizo and toast on the side. It was just what was needed in this crisp weather – so hearty and warming. Then comes the Belgian waffles with whipped cream and strawberries. They were fluffy, light and you can’t go wrong with the toppings. It’s a classic which will never get old. Along with their terrific breakfast menu, The Grind Cafe are renowned for their famous sausage rolls, delightful sandwiches and locally sourced beans for their fantastic coffees. We’ll be back for all of the above in due course, no doubt! Oh my goodness those Belgium waffles look amazing even though I can’t have them. I need also to give baked eggs a try. I saw the photos and my mouth started watering. The food looks delicious! I'll have to try the food next time I visit Sheffield! I recently had waffles in a restaurant and I can't believe I haven't ordered them before!